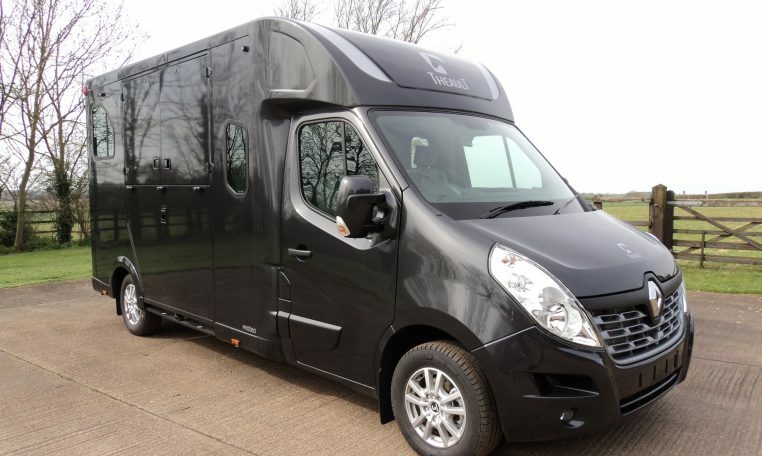 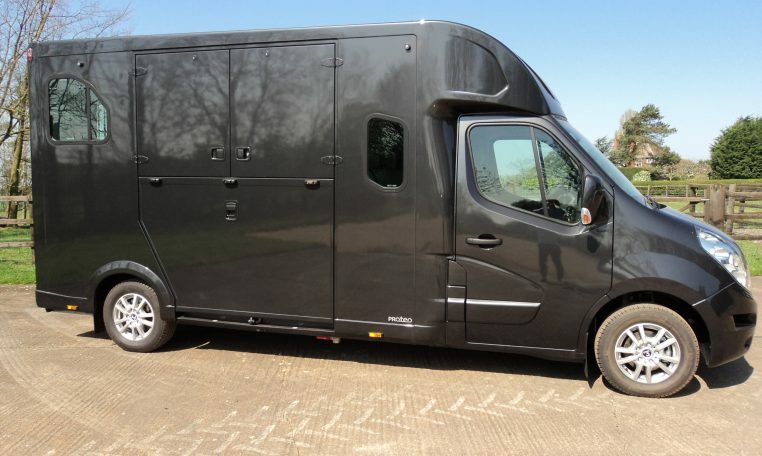 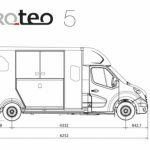 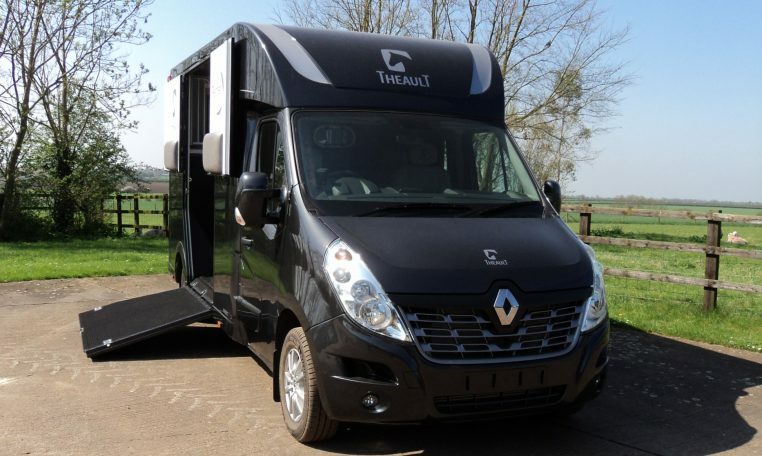 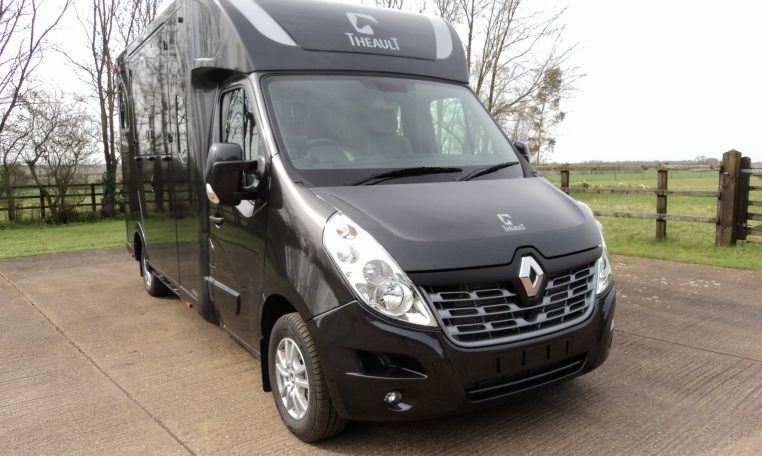 This new luxury 3.5 tonne Theault model is based on a Euro 6 chassis. 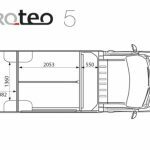 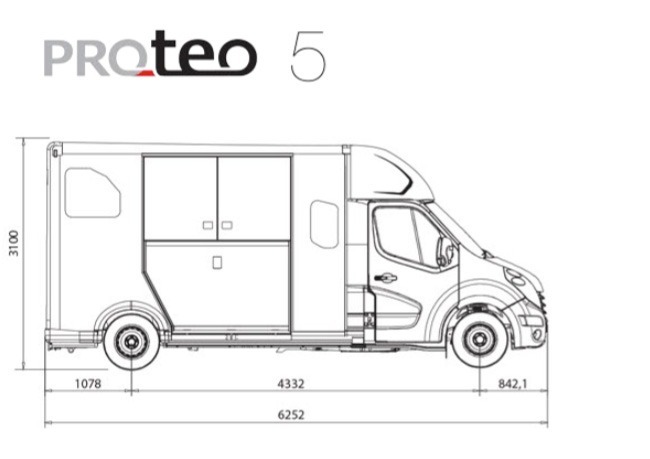 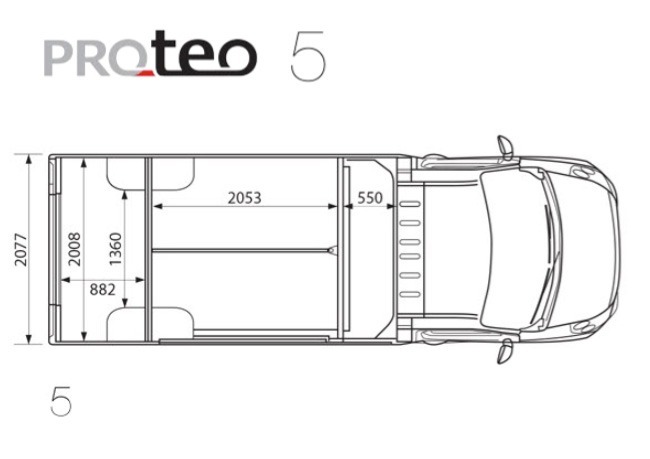 The 5 seat cab to maximise the space in the cab to give all of your passengers a very comfortable ride. 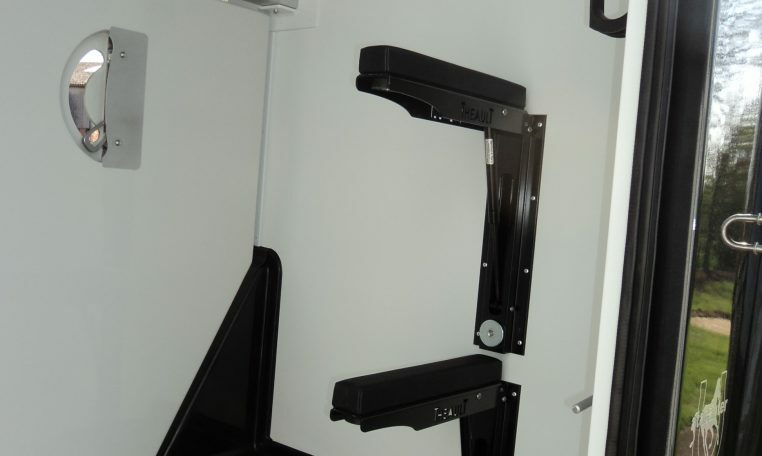 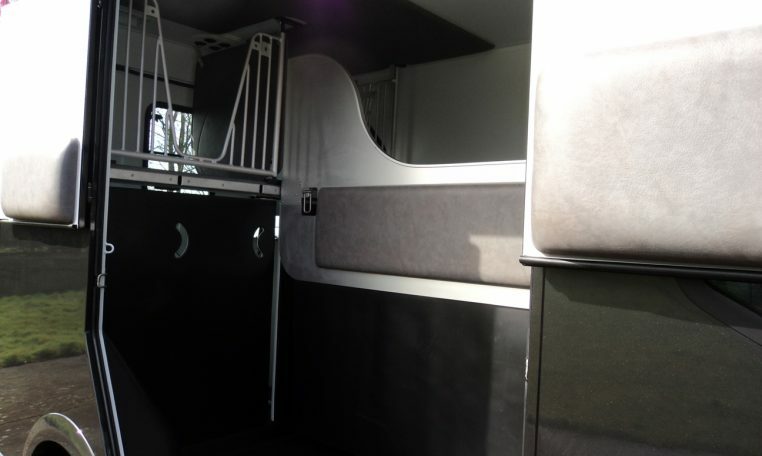 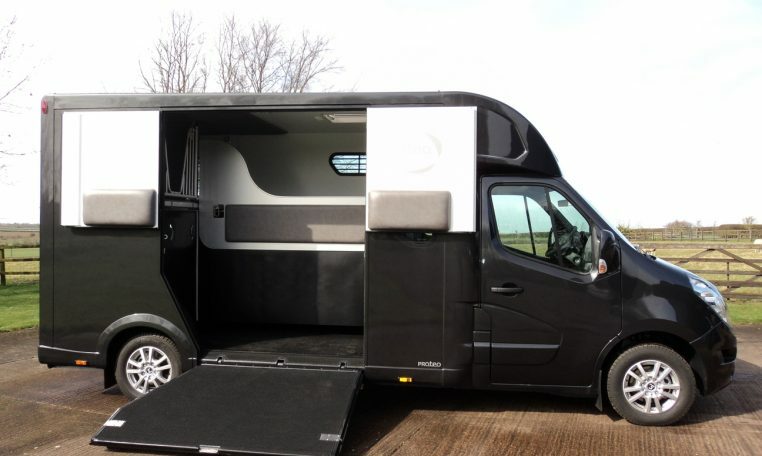 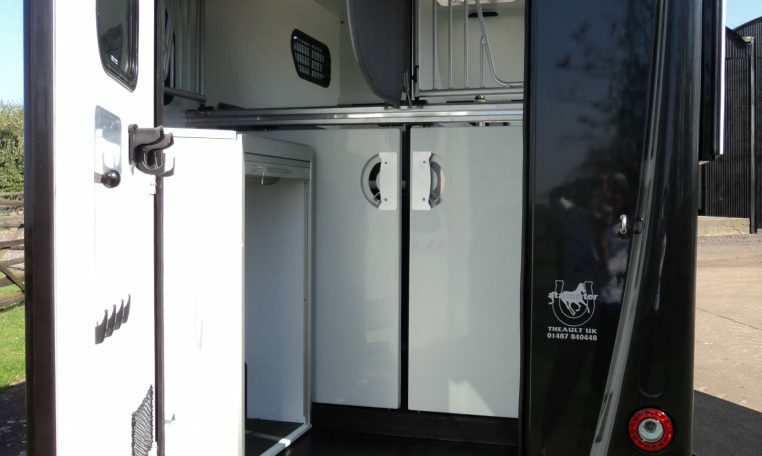 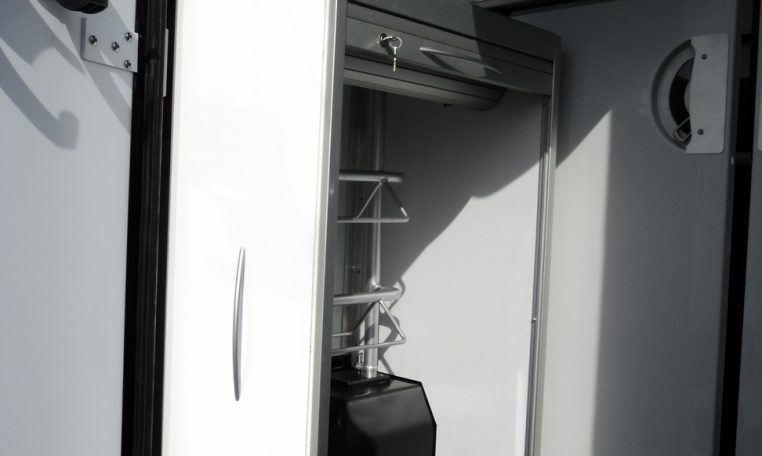 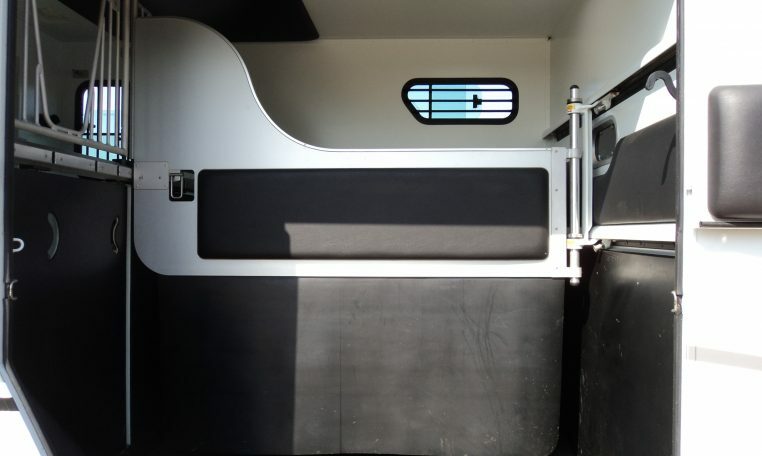 It comes with 2 bunk beds and the area can also be used for a changing area, as the seat cab can be folded out of the way if desired. 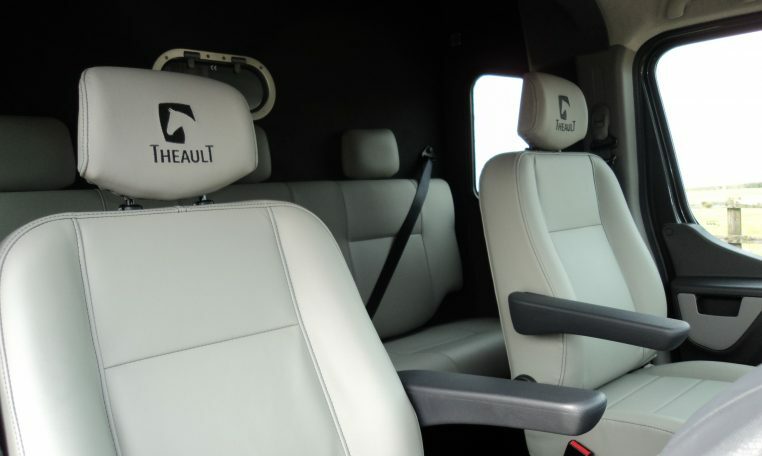 There are 3 point seat belts on the rear seat enabling you to carry your passengers including small children very safely. 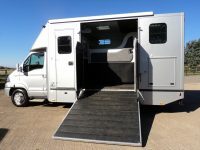 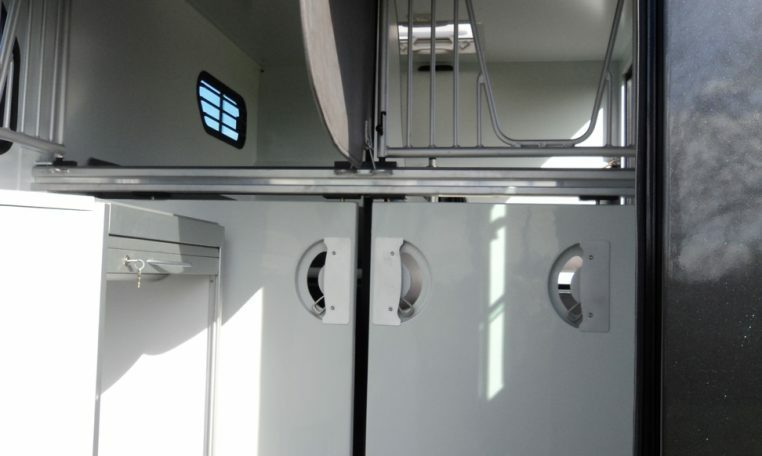 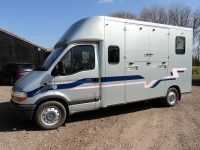 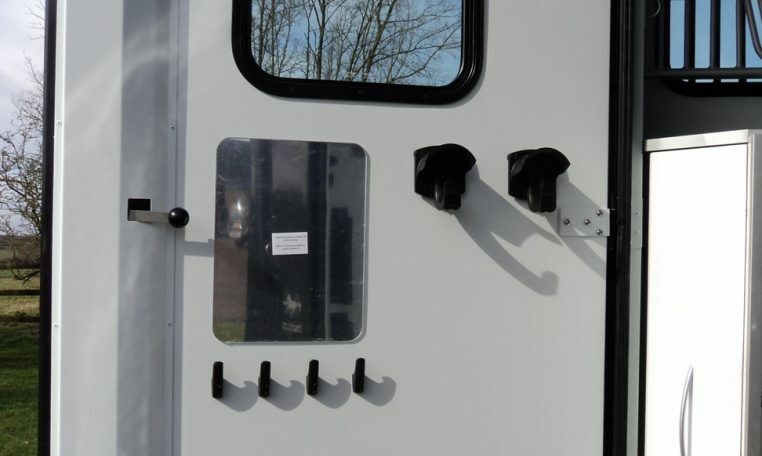 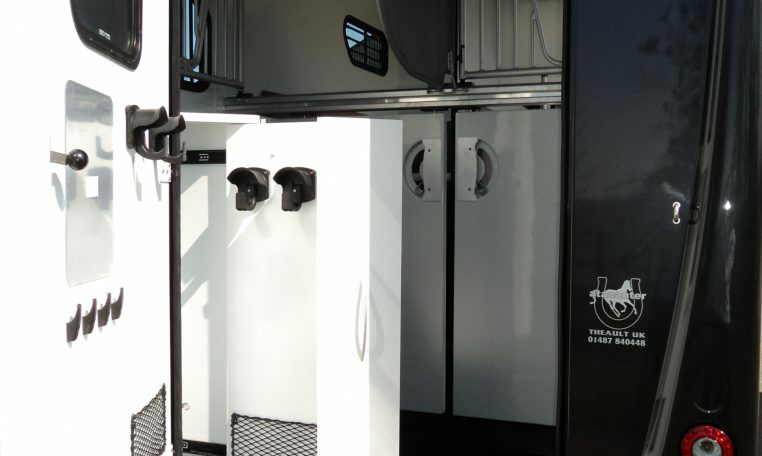 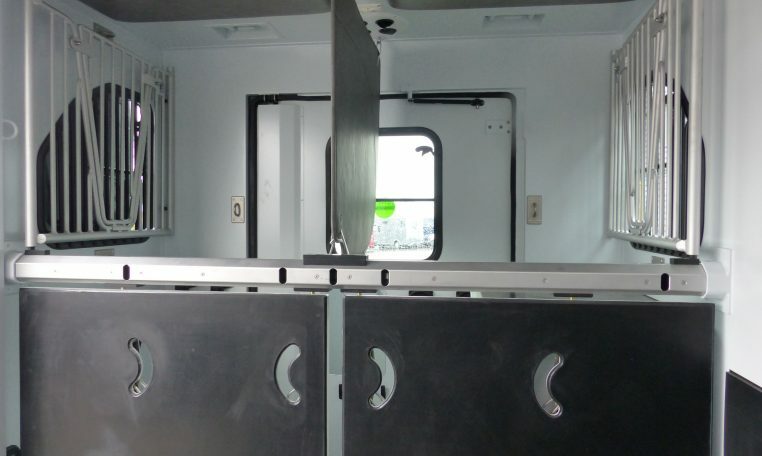 Insulated aluminium sandwich panels, insulated luton for the cab, aluminium side ramp, rubber lining to internal walls, aluminium partition with rubber skirt and adjustable width settings ( 7 positions), opening observation window from cab to the horse area, 3 opening windows with protective grills, 1 opening window in the rear, 1 large ceiling ventilator and 2 mechanical ventilators, electric air extractor, wide rear door, tack room and horse area floor in anti-slip rubber, embedded handles and LED lighting, LED lighting in cab, access from the cab, internal and external tie rings, breast bar doors with integral opening, fittings for anti-weave grills, protective padding.